Wynton Marsalis is unveiling one of his newest musical compositions in the Washington area, featuring the blues with a full symphony orchestra. Marsalis will debut his "Blues Symphony'' Wednesday night at the Music Center at Strathmore in Bethesda, Maryland. The performance with a 100-piece symphony is the culmination of Marsalis' residency with the Shenandoah Conservatory Symphony Orchestra, organized by Washington Performing Arts. "Blues Symphony'' was composed in seven movements as a celebration of the blues, heard through moments in African-American history. 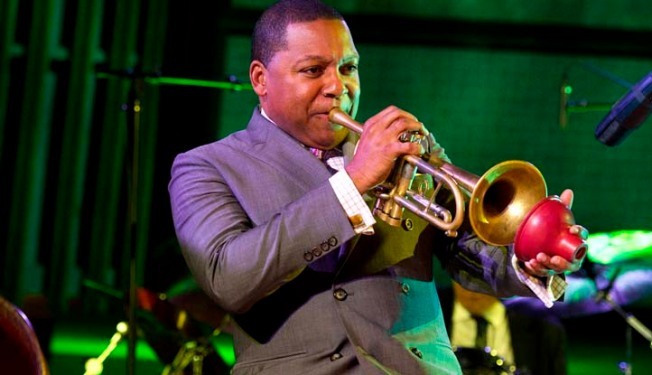 The performance will also feature the Wynton Marsalis Quintet. The composition reflects the Pulitzer Prize-winning composer's expertise in blues, jazz and other traditional American music. This is the premiere for the newly completed work. It was partially unveiled in 2009 by the Atlanta Symphony Orchestra and then was revised.